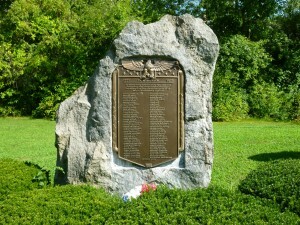 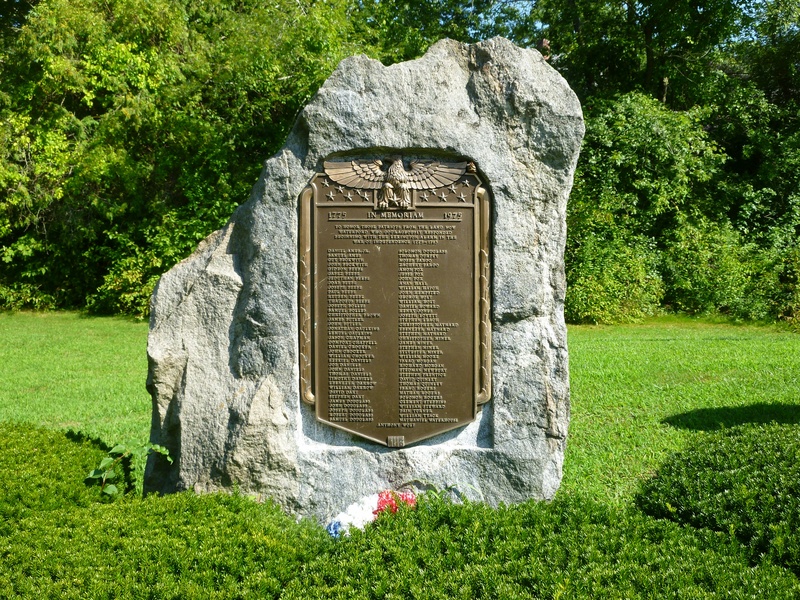 Waterford honors veterans of the nation’s wars with a collection of monuments in two local parks. 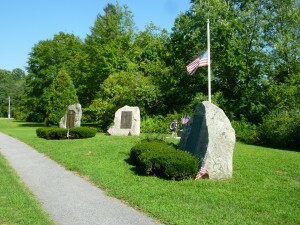 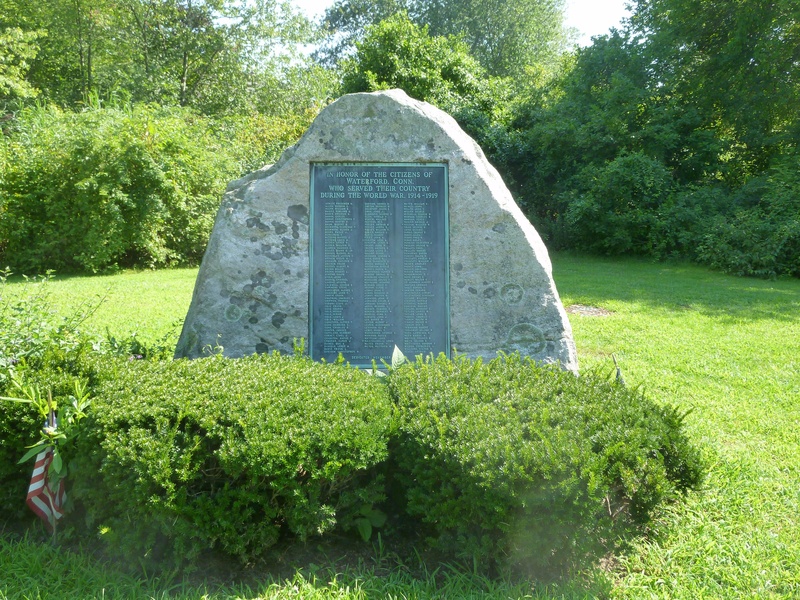 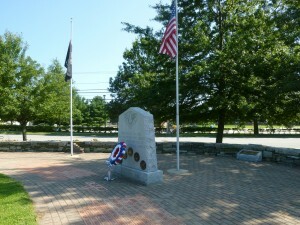 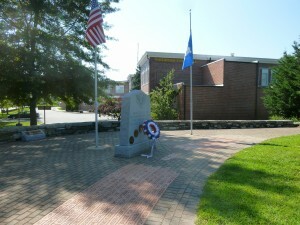 Three monuments are featured in a small green in War Memorial Park on Rope Ferry Road (Route 156), near the intersection with Great Neck Road (Route 213). 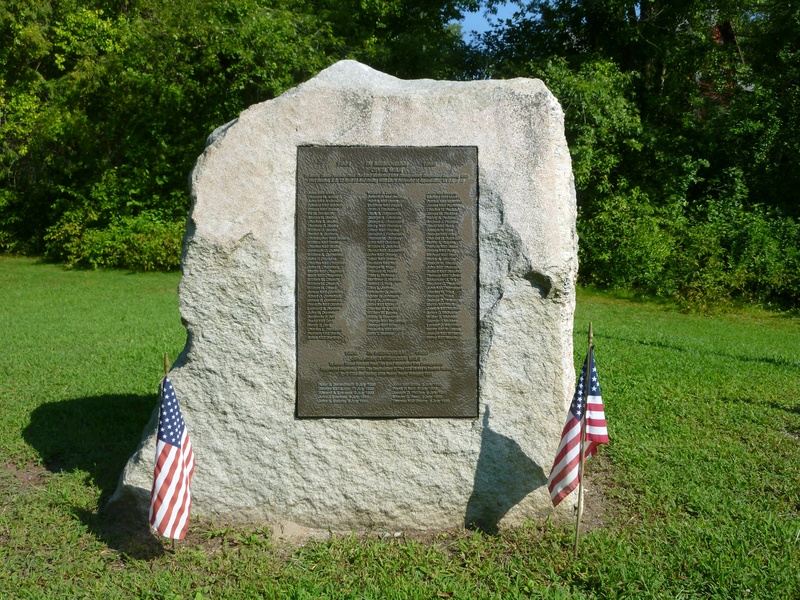 The plaque list nearly 80 names of residents who served in the revolution. 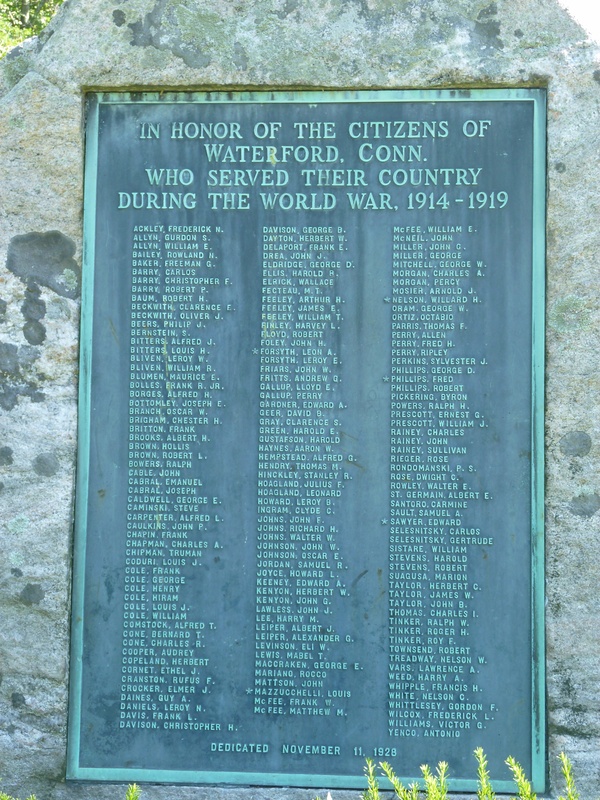 At the time, Waterford, incorporated as a town in 1801, was part of New London. To the west of the American Revolution memorial, a monument honors Waterford’s Civil War and Spanish-American War veterans. 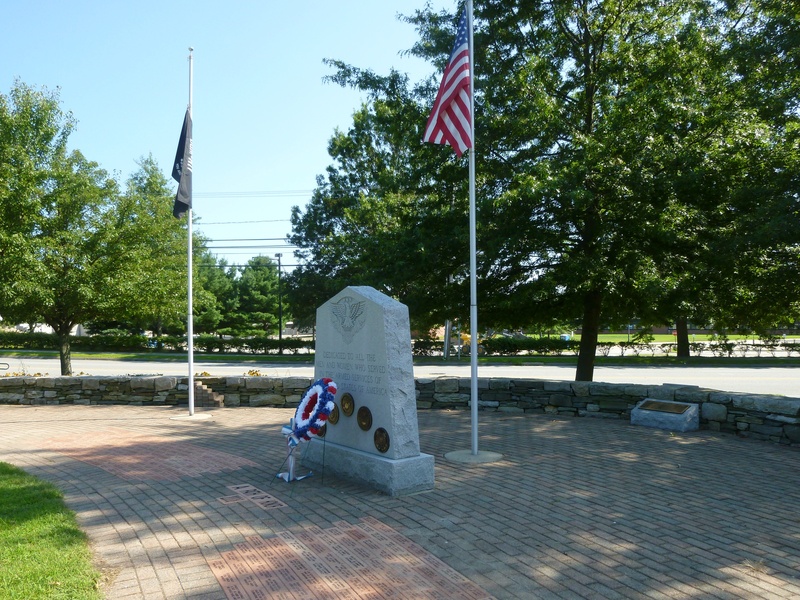 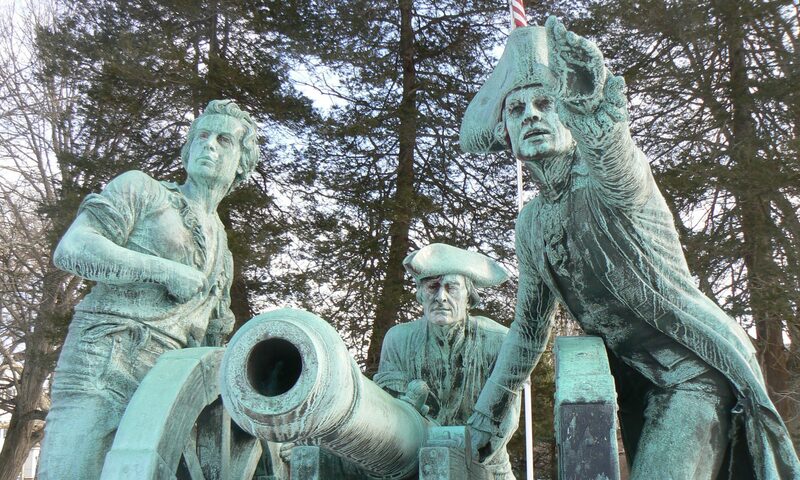 The monument’s dedication includes similar language to the American Revolution Memorial, praising the courage of residents who served in the conflicts and including the starting and ending dates of the wars. The Civil War section of the monument includes nearly 110 names, and the Spanish-American War section lists 10 names. A memorial flagpole next to the monument includes the emblems of the military branches in its base. At the western end of the green, a World War I monument was dedicated in 1928. 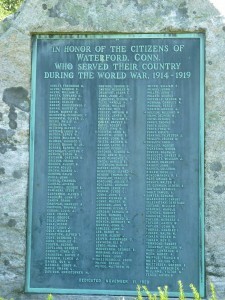 The dedication plaque contains three columns of names, and highlights five residents who died during their World War service. A little more than a half-mile east of War Memorial Park, Waterford’s veterans are further honored with Veterans Memorial Green on the grounds of Town Hall. 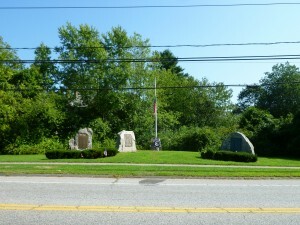 The green, at the intersection of Route 156 and Boston Post Road (Route 1), was dedicated in 1997. 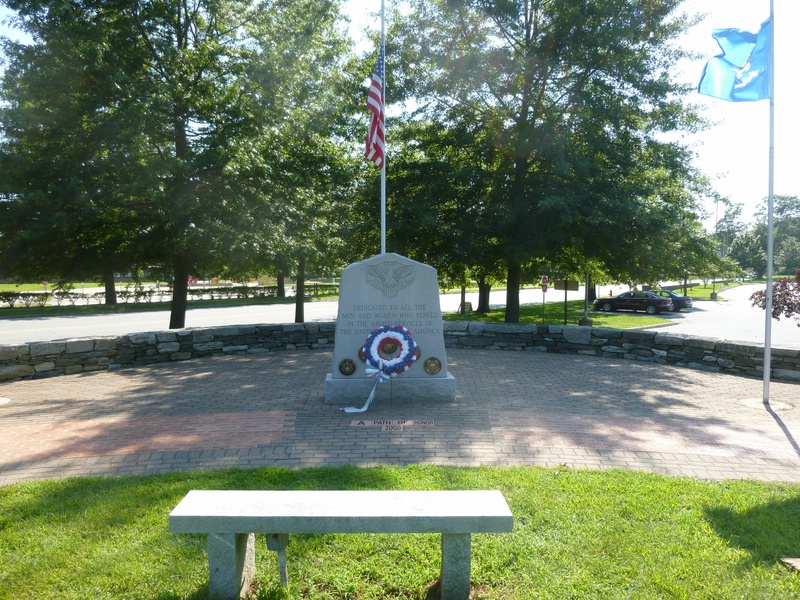 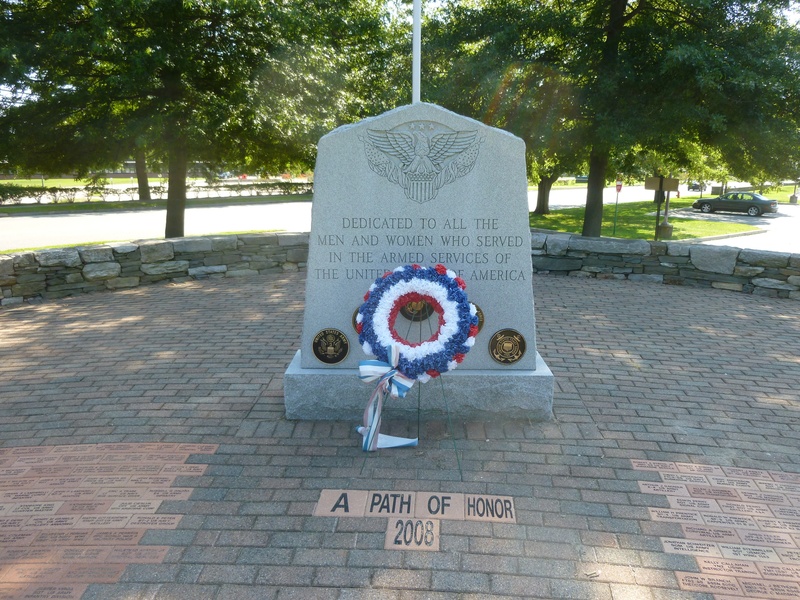 A granite monument bears an inscription reading, “Dedicated to all the men and women who served in the armed services of the United States of America.” In addition to a engraved eagle, the monument also features bronze service emblems. The plaza surrounding the memorial, dedicated in 2008, has been designated “a path of honor.” The plaza features memorial bricks inscribed with the names of local veterans.